Statue of Ebih-il, Superintendent of Mari, ca. 2400 B.C. A cuneiform inscription on his right shoulder tells us who he is. With adoring lapis lazuli, kohl-lined, seashell eyes; bald head; beard; and sheepskin skirt, the alabaster Ebih-il smiles and gazes out…beyond us…presumably into the eyes of his beloved, the Goddess Ishtar. We know this is so because history tells us that Ebih-il, an important official in Mari, placed the statue in the Temple of Ishtar himself, as a sign of his longing and devotion. This is a votive image. These statues are often depicted with their hands closed on their chests offering a symbolic prayer to a god or goddess. 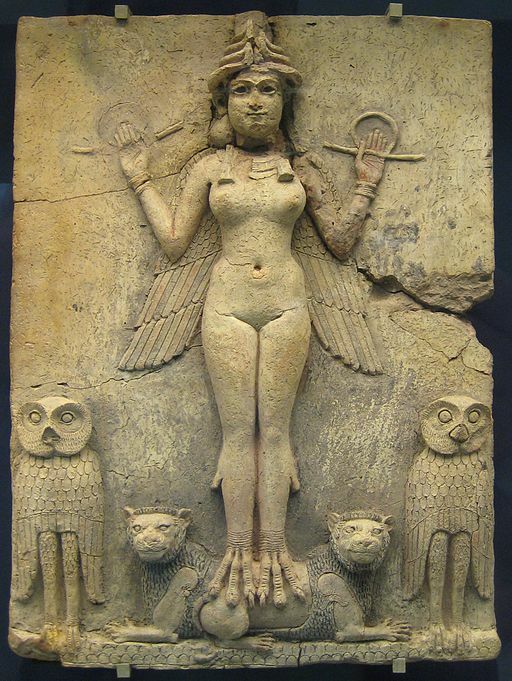 And, with this statue, from the Temple of Ishtar to the Louvre, we see the eternal adoration of Ebih-il to his Goddess. 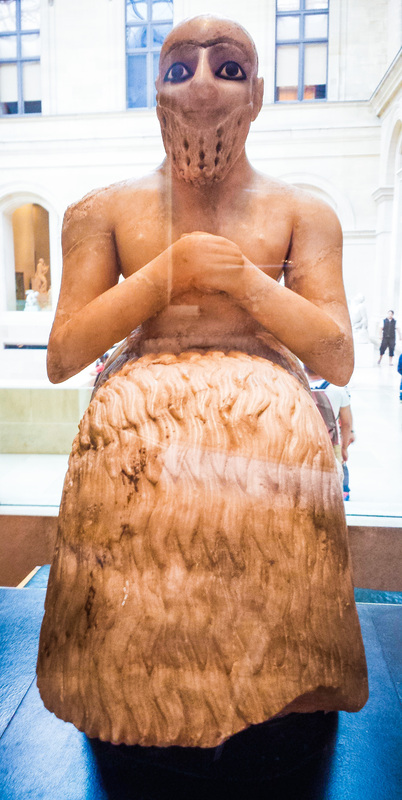 This entry was posted in Europe - August 2014, Paris, Travel Photos and tagged Department of Near Eastern Antiquities, Ebih-il, France, Goddess Ishtar, Ishtar, Louvre, Louvre Museum, Musee du Louvre, Paris, Statue of Ebih-il - Superintendent of Mari, Temple of Ishtar, votive, votive image. Bookmark the permalink.